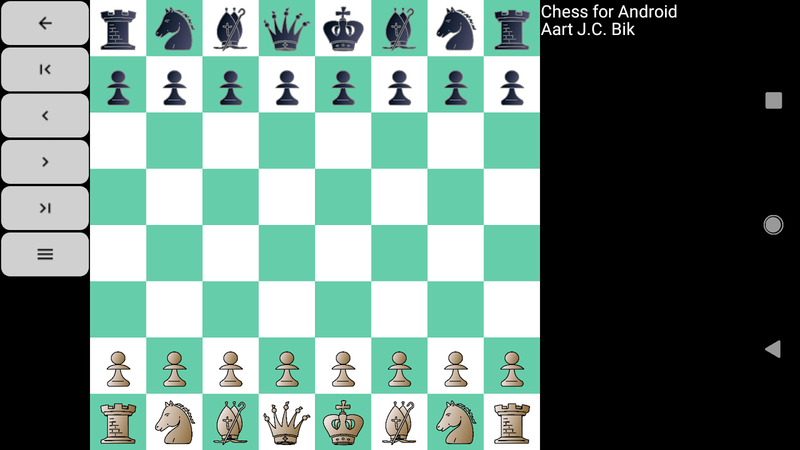 I received several requests to incorporate some of the beautiful chess art by Maurizio Monge in Chess for Android. Maurizio did a great job creating attractive, yet very playable chess figures. Also, he kindly makes this art available to all, although I received explicit permission from him to use the art in my application. 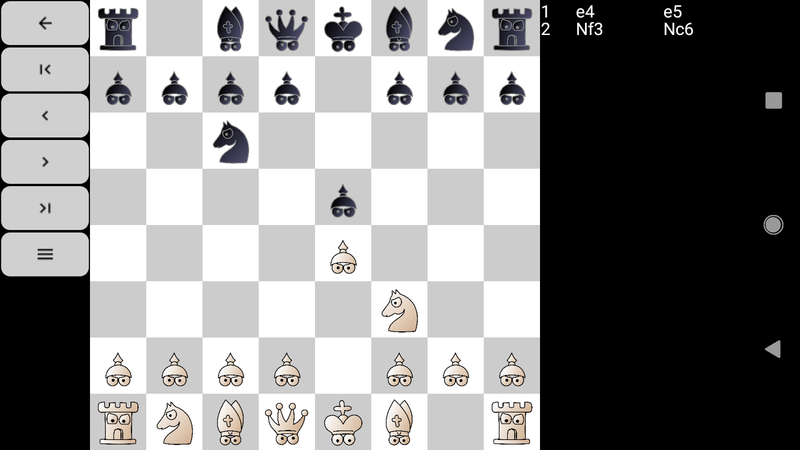 So the next version of Chess for Android will feature the fantastic "fantasy" and very funny "eyes" piece figures. I particularly like his 'SKulls' set, not very usable to actually play a game with but very artistic. They are indeed all impressive, although I indeed picked the most playable one. When can we expect a new piece set from your artistic hands? i love everything about this app. 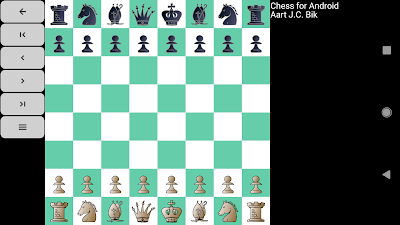 I have received several questions on how to connect Chess for Android running on an Android device (e.g. 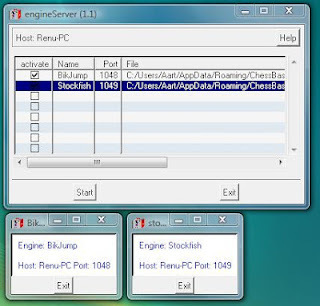 a phone) as client to a remote chess server (e.g. a powerful desktop), so I decided to write a small document with detailed instructions. 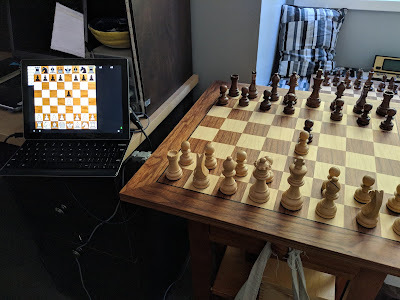 After all the fun I had connecting Chess for Android with the Millennium over Bluetooth, I was curious if I could provide similar support for the DGT electronic chess boards. Some of these have Bluetooth capabilities, most use USB connections, and some older models, like the one I have, still use the RS-232 connector. To my pleasant surprise, by combining the original serial cable of DGT with a USB-to-serial cable and a female-USB-to-USB-C cable, I was able to get an actually working connection between my DGT board and my tablet or phone. Next was implementing support in Chess for Android. Luckily, DGT kindly shared the protocol documentation with me, and after a fun weekend of hacking, Chess for Android now proudly supports DGT electronic chess boards as well. Two new sets of chess pieces by Maurizio Monge (who very kindly gave explicit permission)Ability to enable/disable saving engine annotations in the PGN fileOpening the draw/resign dialog now requires tapping one king then the otherSimpler permission model for "older" Android versions The last change, adding bluetooth and network permissions, is needed so that pre-api23 versions of Android can also connect with electronic chessboards over bluetooth or with remote chess engines over a network socket (the latter is also needed for an upcoming FICS client I am working now). From api23 onward, users can selectively enable or disable such permissions. Pre-api23, however, it was an "all-or-nothing". Changes like this have unfortunately the danger that some users will uninstall, but in the long run I believe I can better serve the full customer base this way.